There are very few “down” times for children’s ministry leaders. Christmas certainly is not one of them for most of us! Besides the Christmas kids program, we usually are doing something special on the weekend before Christmas, managing a sparse volunteer team (usually with many fill-ins), and getting lots of “extras” prepped for our programs (can you say crafts, Christmas projects, special snacks, volunteer gifts . . . ). Often times this leaves us tired, cranky and unable to truly enjoy the Christmas season ourselves. We can’t let that happen! There is a lot to get done at the Christmas season. During this period, especially, it’s important to make sure you stay organized, on task, and get things done as early as possible. Delegate appropriately, get your follow-up systems in place and make sure to avoid as many “last minute” tasks as possible. 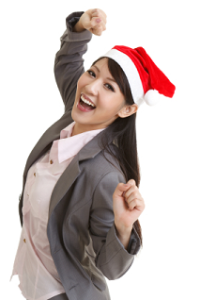 To enjoy the Christmas season, stay organized and get things done early. Between home & church, the Christmas season can be non-stop. Find ways to take mental breaks – whatever works for you. Stop at Starbucks and sit down to enjoy your coffee on the way to work. Take a short walk around your church facilities to get out of the office. Play a game with your staff for no particular reason. Whatever works for you – 10 or 15 minutes can make a big difference in your day! Remind yourself of “the reason for the season”. That can be such a trite little saying, can’t it? But the message behind it is important! You are not doing what you do to bolster the numbers, or put on an impressive program, or wow anyone with your facility decorations, or…or…or… You are doing what you do because of the very meaning behind this season. What reminds you of that? It could be as simple as using a coffee mug with that message on it. Read a portion of the Christmas story everyday. Post a sign on your office door. Wear one of those pins with that saying on it (ok, that might be extreme for some of us, but you get the idea!). Attend a worship service – strictly as an attendee! Don’t even get me started why attending church service needs to be a priority for Children’s & Family Ministry leaders! Whether you do regularly or not, make it a priority at Christmas. I get it – it’s hard sometimes and you are required to oversee program, etc. Find a way – even if that means attending another churches service! Share this with your family as a parent & spouse – NOT as a children’s pastor. Taking #4 to the next level…don’t sacrifice your family – during the Christmas season or any other time. God did not call you to lead your children’s ministry at the expense of your family. It is so easy, especially during a season such as this, to allow our ministry to overtake our family. We all have to adjust to make sure this doesn’t happen, just find the ways that work for you. God did not call you to lead your children’s ministry at the expense of your family. How do you ensure you enjoy the Christmas season?